LAS CRUCES, N.M. (Oct. 23) - The New Mexico State men’s basketball team will utilize three games to help bring in canned food donations for two local food assistance providers, the Aggie Cupboard and El Caldito Soup Kitchen. The first game, an exhibition game against Western New Mexico, will be free. Volunteers and members of the men’s basketball team will be available to collect food donations from fans as they enter the game. The public will have the opportunity to get into the November 20 and November 25 games for a reduced price if they bring in two canned food items. The normal $8 ticket price will be reduced to $5 for those who bring in two canned food items. Additionally, Gabrielle Robinson (gabrob@nmsu.edu) has been coordinating a food drive competition among Greek Life. The food will be brought to one of the games to determine which house brings in the most food. The Aggie Cupboard is a food pantry begun in 2012 for the NM State students and employees, and El Caldito Soup kitchen has served the local community for 29 years. 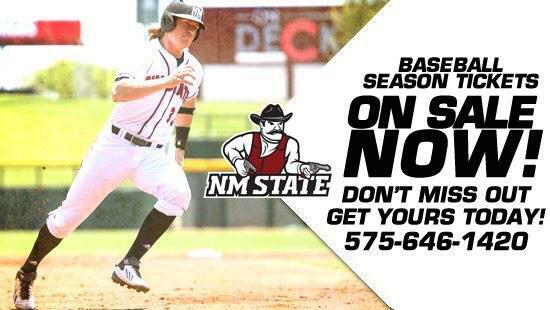 For more information contact Lori Haussamen at mlori@nmsu.edu or (575) 646-2731.